The ACX4000 is a 2.5 U, actively cooled access router that is environmentally hardened for field deployment. This versatile, high-performance mobile access platform runs on the Junos operating system. 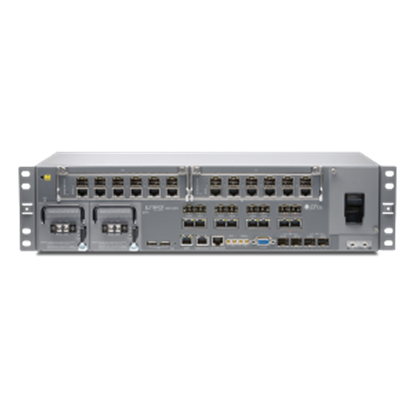 The ACX4000 has two Modular Interface Card (MIC) slots that can house 16 T1/E1 ports, 6 GbE copper/fiber combination ports, or 4 CHOC3/STM-1 ports, creating a mobile access platform versatile enough for any deployment. Besides 2 MIC slots, the platform also provides a number of fixed ports that include 2x 10GbE, 2x GbE SFP, or 8x GbE combination (copper/fiber). This universal access routing solution is optimized to enhance the mobile subscriber experience while significantly improving network monetization for service providers. Adaptive Service Architecture has operational intelligence for the access network to grow with business needs. Flexible Architecture supports carrier Ethernet, L2, L3, MPLS, traffic engineering, CAC, and simplified service provisioning and operation. 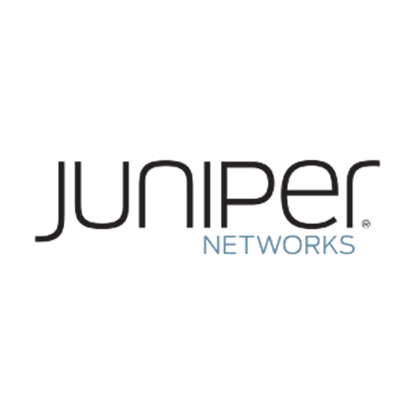 Rapid, Remote Provisioning for easy management is provided using Junos Space Services Activation Director. Scale and Performance up to 60 Gbps with GbE and 10GbE support facilitate the move to 3G/4G/LTE, wide interface range for T1/E1, GbE, 10GbE, and PoE++. Clocking Technologies include SyncE and IEEE 1588-2008 for highest quality of experience (QoE). Junos SDK ensures easily customized provisioning and integration with third-party apps and tools.